An F-35A Lightning II taxis from the runway onto the flight line after successfully completing a sortie, Dec. 14, 2015, at Luke Air Force Base, Ariz. The first F-35s will arrive in Norway in 2017. 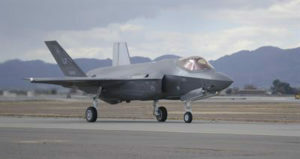 The F-35 is being adopted internationally by eight partner nations, including Norway, Italy and Australia. The program executive officer of the F-35 Lightning II aircraft program said the rapidly changing, growing, and accelerating program is at a “pivot point” as officials address a number of challenges. The F-35 program, also known as the Joint Strike Fighter program, is of vital importance to U.S. security, Air Force Lt. Gen. Christopher C. Bogdan told the Senate Armed Services Committee April 26, during a hearing on the program. Progress is being made, he said, noting development and flight tests will finish in late 2017. Efforts will then transition to a “leaner, more efficient follow-on modernization program,” the general added. Production will grow from delivering 45 aircraft in 2015 to delivering more than 100 airplanes in 2018 and up to 145 by 2020, he said. In addition, in the next four years, the program will continue a stand-up of 17 new operating F-35 bases across the world. The F-35 program has made “steady progress” over the past four years under Bogdan’s leadership, according to Frank Kendall, the undersecretary of defense for acquisition, technology and logistics. F-35 costs and development have remained within the baseline, Kendall said, noting that production costs have steadily decreased, meeting the independent cost estimate each year. “While I do continue to monitor progress monthly and conduct annual program deep-dive reviews, the F-35 is no longer a program that keeps me up at night,” Kendall told lawmakers. Since potential adversaries are not idly standing by, threat advances in areas like integrated air-defense systems, air-to-air weapons and electronic warfare must be continuously countered, he said. Both Kendall and Bogdan discussed the challenges in the F-35 program. While Kendall noted there are some design issues that need to be resolved, he said he would be surprised if a “major” design problem popped up. The general said risks include stability issues with the aircraft’s software. Other issues, he said, include the development of the next version of the maintenance system known as the Autonomic Logistics Information System, or ALIS, version 2.02. 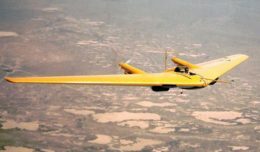 “However, we believe we have identified the root cause of these problems, and have tested solutions in the lab and in flight tests, and are now completing our flight test with these solutions,” Bogdan said. Bogdan said he and his team take very seriously the responsibility of delivering the best possible weapons system. “We never forget that someday, your sons and daughters, your grandsons or granddaughters, will take an F-35 into harm’s way to defend our freedom,” he said.